Oil has been the main force behind economic growth in Bahrain, accounting for over 70% of GDP and 80% of government revenue. While the hydrocarbons sector remains the dominant industry in Bahrain, continuing efforts to boost trade growth and industrial diversification bode well for the economy in the medium-to-long term. 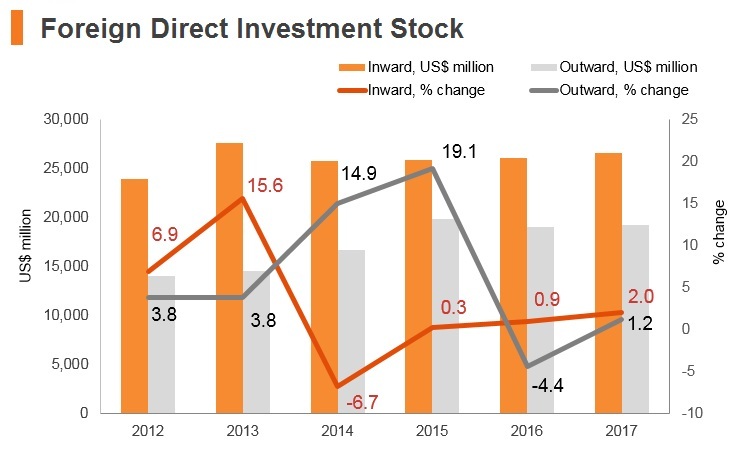 Non-oil industrial development is still at an early stage, but the country’s strong logistics profile and supportive industrial policies may provide a base for stronger manufacturing growth and less reliance on oil revenues in the years ahead. There are promising prospects in establishing light industries, and the abundance of gas provides considerable scope for development. 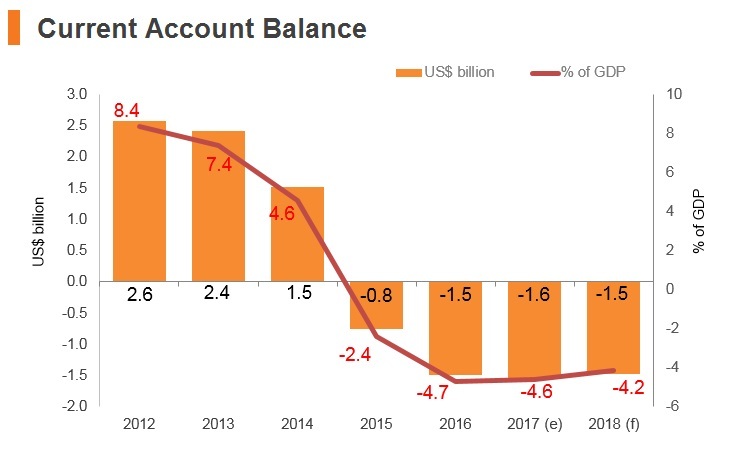 Despite global commodity price shocks in recent years, the overall balance of payments has remained in surplus and Bahrain's external debt is negligible. 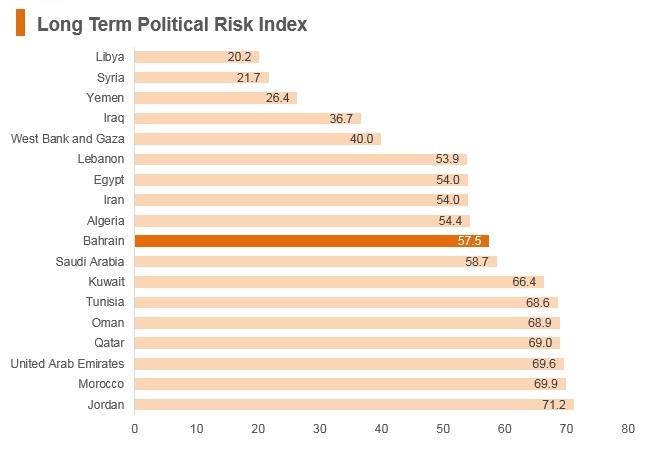 Bahrain will hold a parliamentary election on November 24, 2018. The Kingdom of Bahrain has been a WTO member since January 1, 1995 and a member of GATT since December 13, 1993. It is signed up to the WTO Rule of Origin Agreement, WTO Trade Facilitation Agreement and the WTO Protocol Amending the Marrakesh Agreement. Furthermore, Bahrain is a signatory to the Istanbul Temporary Admission Convention, Harmonised System Convention and the International Convention On The Simplification and Harmonisation of Customs Procedures. Bahrain has a relaxed trade regime which poses minimal tariff and non-tariff trade barriers for the majority of its trading partners. 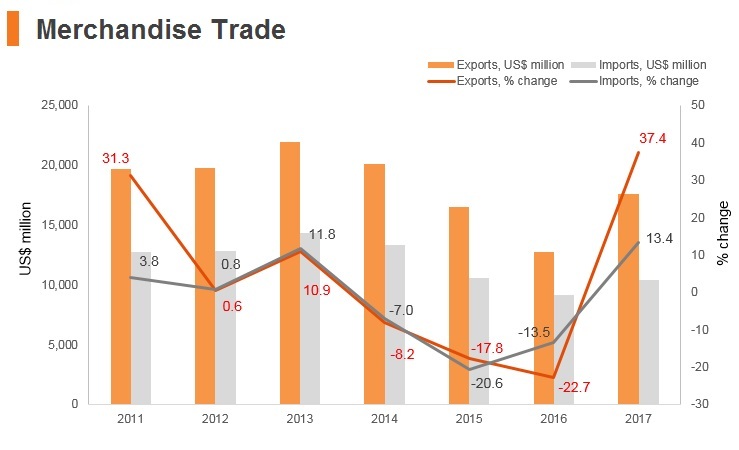 In light of the global slump in crude prices, Bahrain's trade balance has been shielded by the kingdom's growing export revenues from services. 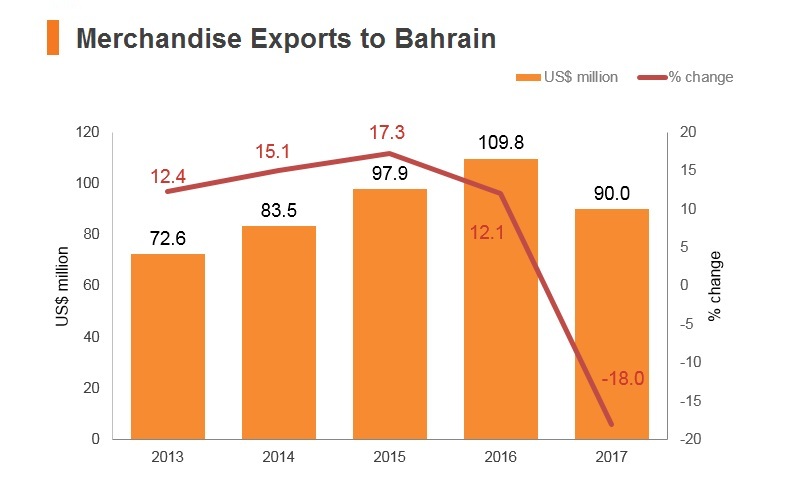 For example, between 2014 and 2016, when Bahrain's total export revenue decreased by about 20.2% between 2014 and 2015 and decreased by another 7.4% between 2015 and 2016, export revenue derived from services actually increased by 6.3% between 2014 and 2015 and by around 20% between 2015 and 2016. 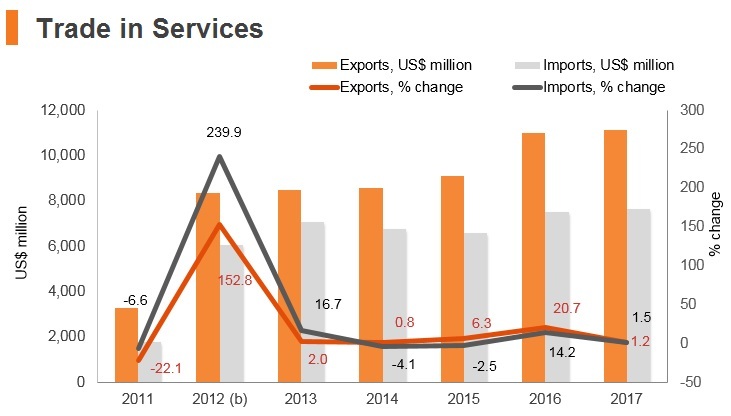 In 2017, revenues derived from services' exports amounted to around US$11.6 billion. 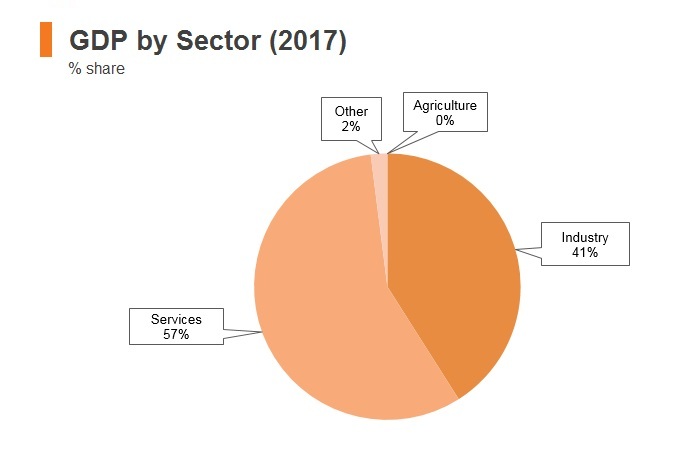 In 2014 (latest available data), the main services which Bahrain derived export revenue from were tourism, transport and ICT and telecommunications services. 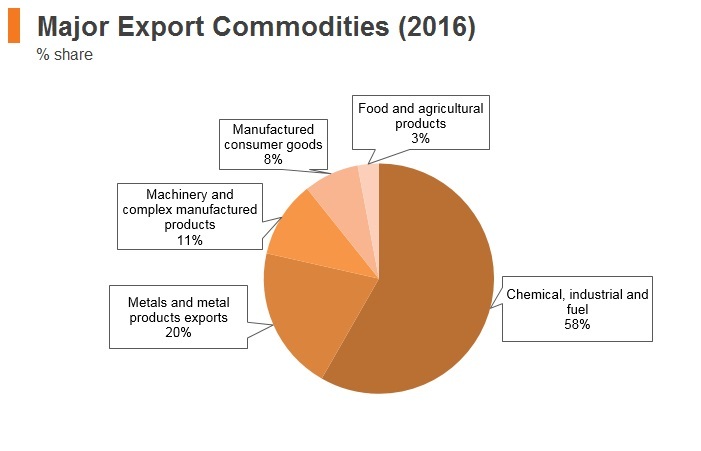 Secondary sector industries such as refined fuel production, metal product manufacturing (mainly aluminium) and construction, however, play the most significant role in terms of the country's exports and imports. Bahrain is a member of the Gulf Cooperation Council (GCC), along with Saudi Arabia, the UAE, Oman, Kuwait and Qatar. The GCC is a political and economic organisation which was created in the 1980s, but since 2015, a customs union has also been launched between the six member states. Therefore, the country's GCC membership means that it is part of a single market and customs union with a common external tariff. 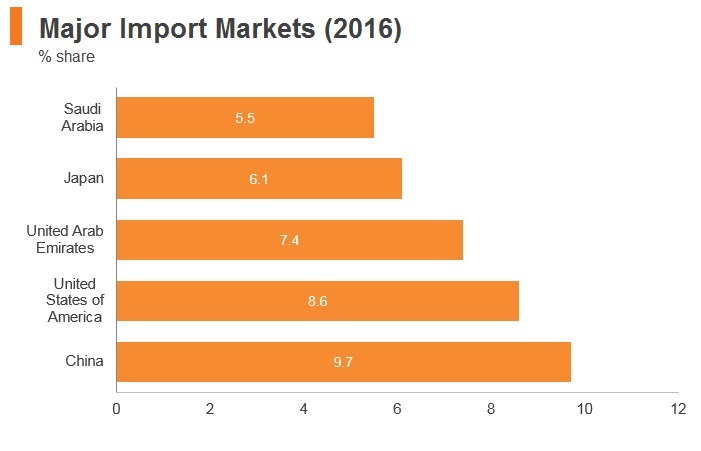 A tariff of only 5.0% is imposed on the majority of items imported to Bahrain from non-GCC countries and there is a single point of entry where tariffs are collected once imports enter the GCC. Only imports on certain sensitive goods from GCC countries will face tariffs, and there is freedom of movement between GCC countries without customs or non-customs restrictions. In June 2016, the GCC nations approved plans to double the tariff on imported tobacco from 100% to 200% in mid-2016. US tobacco importers are exempt due to pre-existing free trade agreements. Further, Bahrain has implemented excise tax on December 30, 2017 pursuant to the GCC’s unified law on selective excise taxes. 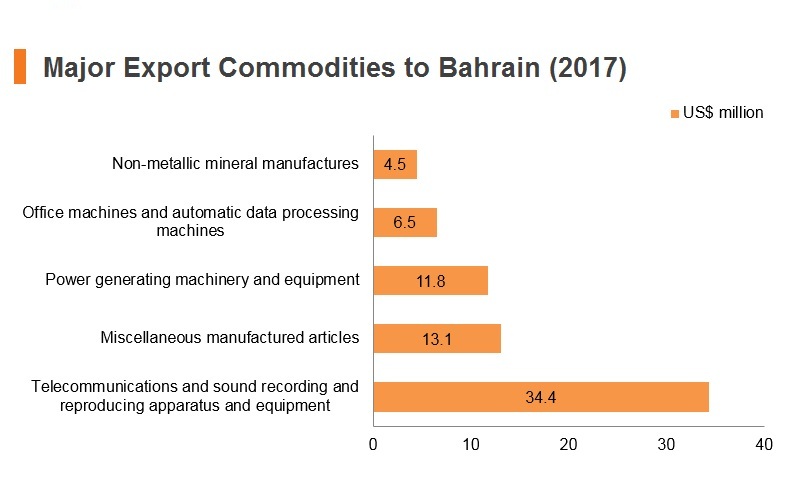 There are existing Bilateral Investment Treaties (BITs) between Bahrain and the following countries and regions: Algeria, Belarus, BLEU (Belgium-Luxembourg Economic Union), Brunei Darussalam, Bulgaria, China, Czech Republic, Egypt, France, Germany, India, Iran, Islamic Republic of, Italy, Jordan, Lebanon, Lebanon, Malaysia, Mexico, Morocco, Netherlands, Pakistan, Russian Federation, Singapore, Spain, Sudan, Syrian Arab Republic, Thailand, Turkey, Turkmenistan, United Kingdom, United States of America, Uzbekistan and Yemen. Bahrain is a member of GCC: The GCC Customs Union, which entered in to force on January 1, 2003, sought to enhance as well as strengthen the ties among member countries. As a part of this the Customs Union sought to harmonise their economic, financial and monetary policies, their commercial and industrial legislation and customs laws. The Customs union also sought to lay the steps towards building a Common Market and an Economic and Monetary Union among Member States. As four out of five of Bahrain's top export partners (and one of five of its top importing partners) of the GCC are all members, this means that all of Bahrain's trade with these countries is tariff-free. All members benefit from having a common external customs tariff, common customs regulations and procedures and unified standards and specifications for all products. There is freedom of movement between GCC countries for the vast majority of goods without restrictions. This reduces overall time and cost burdens for supply chains. Bahrain is a member of Greater Arab Free Trade Area (GAFTA): GAFTA was established in order to create an Arab economic bloc that could effectively compete with other countries while ensuring that each country increased trade with each other. The GAFTA’s has had a long history with formal existence on January 1, 1998. The most important aspect of the agreement was that over the next 10 years (to 2008), each member country would seek to carry out a 10% reduction in customs fees per annum as well as the gradual elimination of trade barriers. In March 2001, the member countries decided to reduce the period over which the reductions in tariffs could be made so as to speed up the process and, in January 2005, the elimination of most tariffs among the GAFTA members was enforced. 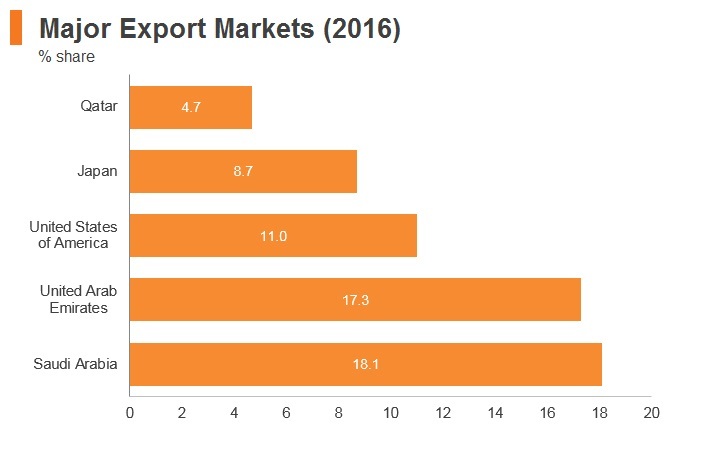 Four out of five of Bahrain's top export markets are all members of GAFTA, as well as many of its smaller trading partners. GCC and European Free Trade Association (EFTA): This agreement was signed on June 22, 2009. The provisions contained in this agreement are applicable to both the trade in goods and services. In doing so the signatories to the FTA seek to liberalise their markets. The non-trade aspects seek to enhance the economic relations between the member countries. While EFTA member states (Norway, Switzerland, Iceland and Lichtenstein) are far removed from Bahrain and there is no considerable trade between the countries, it may promote further trade in the future. GCC-Singapore Free Trade Area (GSFTA): The GSFTA negotiations were concluded on January 31, 2008 and the agreement entered into force on January 1, 2009. The GSFTA is a comprehensive free trade agreement between Singapore and the GCC countries that includes the trade in goods and services under the articles GAT and GATS. The Agreement also includes provision to foster greater investment between the signatories. In the case of trade the rules of origin and customs procedures for goods between the countries have been simplified. Furthermore, the agreement seeks to create a level playing field as far as government procurement is concerned. 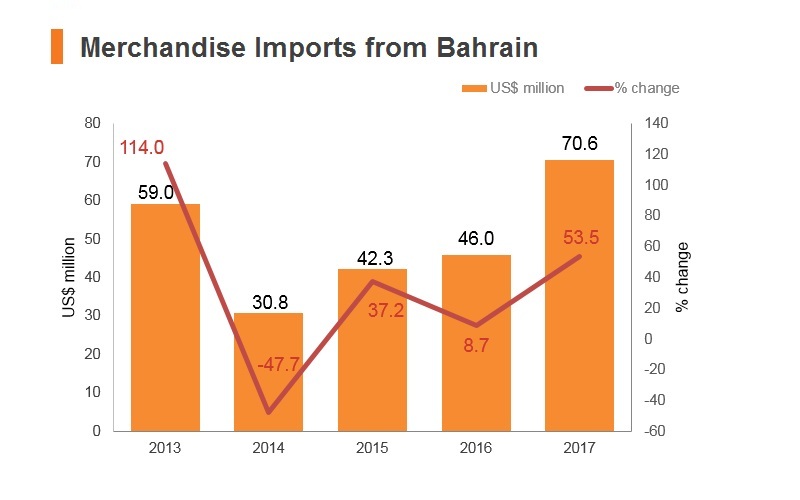 Singapore is one of Bahrain's import suppliers and, therefore, Bahrain has benefitted from tariff eliminations on 99% of Singaporean domestic exports to the GCC. Bahrain-US FTA: The US-Bahrain FTA, entered into force on January 11, 2006. On the first day the agreement took effect, 100% of the two-way trade in industrial and consumer products began to flow without tariffs. 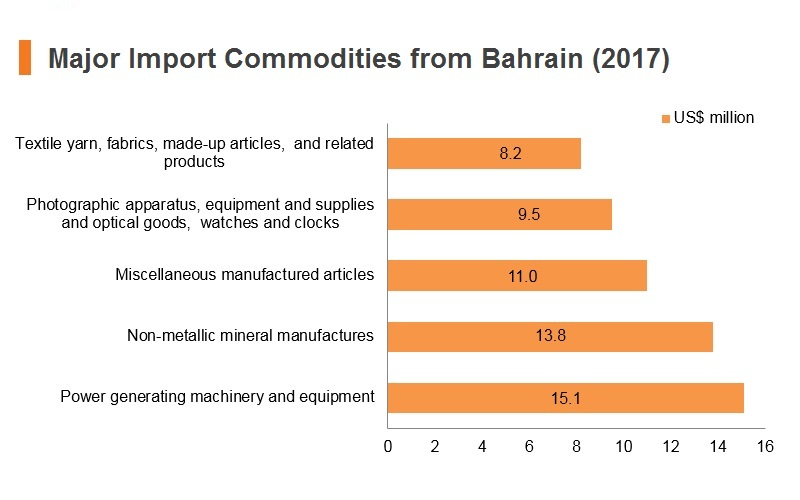 The US is one of Bahrain's top five exporting partners, and one of its top five import suppliers. 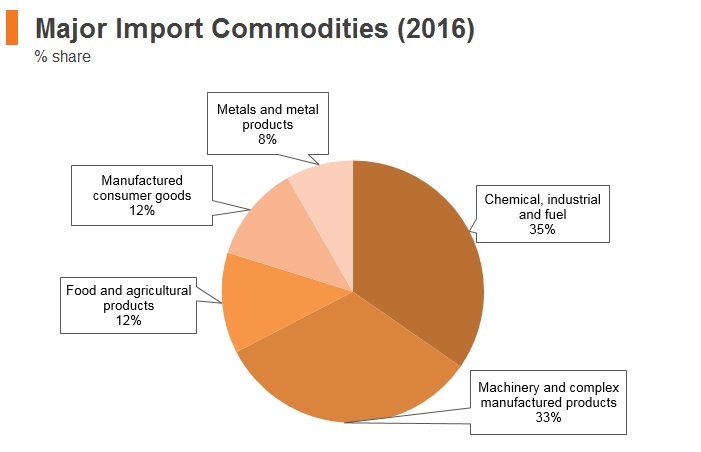 The removal of tariffs on all bilateral trade between the countries in terms of industrial and consumer products, with the exception of a few agricultural items, has been highly beneficial. The US-Bahrain FTA also promotes the policy of advancing economic reforms and liberalisation in the Middle East. The United States-Bahrain Bilateral Investment Treaty (BIT), which took effect in May 2001, covers investment issues between the two countries. The government actively encourages investment in sectors that are export-oriented and do not compete with established local companies. Bahrain provides a free, open and transparent environment for businesses and has a globally competitive, value creation story that focuses on sustainability, skills and good governance. 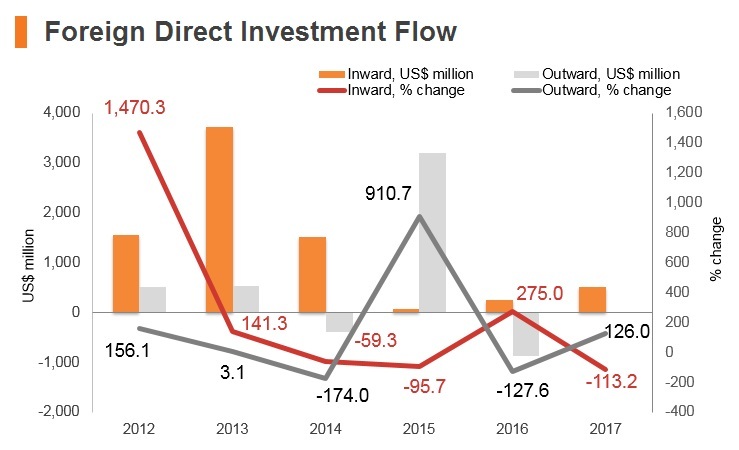 Although major industries, such as oil, gas, aluminium and others connected with the infrastructure, are usually majority-owned by the government, there is an increasing trend toward privatisation, and no industry is closed to foreign investors. To carry out any commercial activity in the Kingdom of Bahrain, a legal vehicle should be established in accordance with the Bahrain Commercial Companies Law No. 21 of 2001. Foreign investors are able to establish a 100% foreign-owned entity in Bahrain under certain conditions. However, for some business activities (such as trading), there is a limitation on foreign ownership, so a local partner would be required. Since 2001, the kingdom has been heavily bent towards increasing privatisation across all sectors, with the state holding company being mandated to reduce its shares in any company to less than 50%.If an international company wishes to establish a branch office in Bahrain, no local sponsor or partner is required. There are no exchange control restrictions on converting or transferring funds. Furthermore, Bahrain has no withholding or thin capitalisation rules in relation to the financing arrangements in Bahrain. Bahrain has signed the GCC VAT framework agreement in relation to the implementation of VAT in the GCC region (including Bahrain) starting in 2018. The standard VAT rate is to be 5%. Previously, VAT was not applicable to goods and services in Bahrain with the exception of hotel, short-term lease apartment rents and certain restaurants which were subject to a 10% tourism levy on the gross income and the 12% sales tax on gasoline included in the price. Foreigners and nationals of other GCC states are permitted to own land and real estate in areas designated by the Bahraini government. Areas designated are all located within significant commercial or manufacturing or residential districts, specialised industrial zones or near key transport hubs. The Bahraini government prohibits foreign business ownership in press and publications, Islamic Pilgrimage, clearance offices, and workforce agencies. The Bahraini government maintains complete ownership over all oil reserves, refineries and related services. Private investment is allowed and encouraged in other state dominated industries such as transportation, aluminium manufacturing, telecommunications and construction. 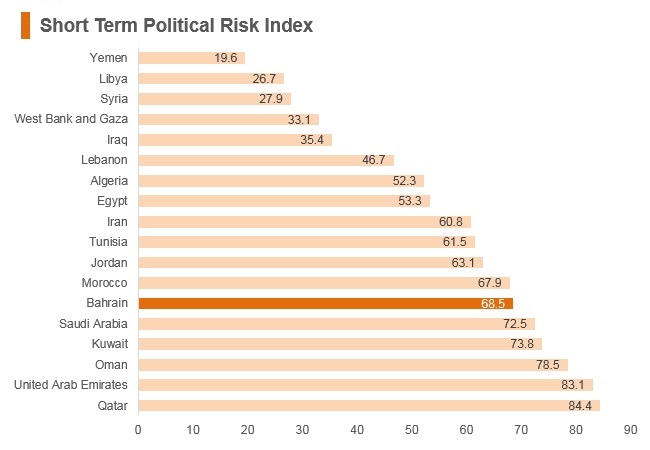 Tax rates in Bahrain, as in the rest of the GCC, continue to be highly favourable as the country does not charge any corporate tax for companies in non-oil sectors, there is no personal income tax for residents and non-residents in Bahrain, and there are no capital gains or estate duty taxes. Bahrain Logistics Zone (BLZ) – This zone is designed to offer local, regional and international companies a base to operate in a bonded area in order to take advantage of Bahrain's highly advantageous position to cater to the regional markets and to access GCC markets via various means of transportation. The Kingdom of Bahrain will be officially implementing VAT in early October 2018. A 5% VAT will be implemented on many types of goods and services in the Kingdom. However, health sector, education and transportation will be exempt from VAT. VAT will be imposed on the following sectors: telecommunications, water and electricity, traffic and licensing department, real estate, construction and oil, which will be applied to fuels, including gasoline, diesel, electricity, and gas, modern cars from the agencies, car rentals, luxury goods, mobile phones, clothes and watches, restaurants, movement of sales and purchase in the markets. Resident company: Corporate Tax rates There is no base Corporate Tax applicable in Bahrain. Only oil and gas companies pay a Corporate Tax of 46% on profits from sales of oil, gas and secondary products. Social security contributions payable by employers (payable on compensation of up to BHD4,000 per month for each employee) Pension fund contributions which are applicable to base salaries of Bahraini nationals (of which 9% is payable by the employer). Insurance against employment injuries which are applicable to base salaries of Bahraini nationals and expatriates (of which 3% is payable by the employer). Unemployment insurance which is applicable to both Bahraini nationals and expatriates (of which 1% is payable by the employer). Foreign workers levy which is payable monthly by all private and public companies with respect to each employed expatriate (BHD5 for the first five expatriate employees and BHD10 for each additional expatriate employee). VAT/GST (standard) The GCC unified VAT and Excise Treaties have outlined that a uniform VAT standard rate of 5% with some limited exceptions will be applicable, when each GCC member state implements VAT. We expect VAT to be implemented in Bahrain from around mid-2018. All foreign workers (except GCC nationals) require a work permit to work in Bahrain. In general, if all the paper work is in hand and the foreign worker has a company willing to sponsor them and pay additional fees, then this process is not exceptionally time- or cost- burdensome. The LMRA is the authority which regulates the granting of work visas to foreign nationals wanting to work in Bahrain. A work permit may only be obtained once the applicant has a formal letter of an offer of employment from an employer in Bahrain - which must be submitted with the work permit application. Like many other of the Gulf States, the Bahraini government is attempting to increase the employment of its citizens in the private sector. This is known as the 'Bahrainisation' policy and employers have to pay fees in order to obtain employment visas for their foreign employees. Currently, the fee for a two-year employment visa is BHD200. All private and public companies are required to pay a monthly levy with respect to each expatriate that is employed. The levy is charged at a rate of BHD5 per employee for the first five expatriate employees and BHD10 for each expatriate employee thereafter. Further, since January 2015, an additional fee of BHD72 for health insurance when issuing/renewing a visa for an expat has been introduced. This fee may not be applicable if the employer provides compulsory health insurance for the employee. Businesses are expected to give priority to the employment of Bahraini nationals and some sectors have various ratios of local to foreign worker numbers which they must comply with. 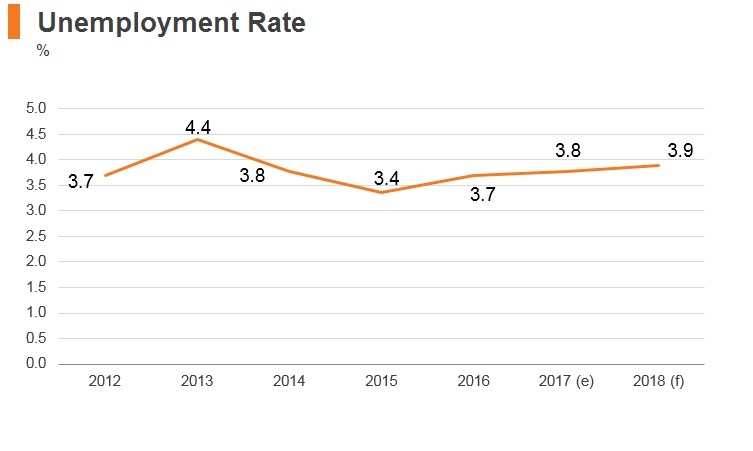 The Bahraini public sector has been one of the larger employers of Bahraini nationals in the past, but with state revenue significantly decreased, the government is enforcing stronger compliance of its 'Bahrainisation' policy in order to account for the shortfall. This is demonstrated by the warning issued by the government in May 2016, which stated that businesses that were found to be contravening the 'Bahrainisation' policies (the hiring of one Bahraini national for every four foreigners hired) would be fined US$800 per foreign worker who did not comply or could lose their business permits. All business visitors to Bahrain who are not nationals of other GCC states need to obtain a visa to visit the country. This can be done on arrival or in advance. While visitors to the country who have stamps in their passports from Israel will experience less trouble when attempting to enter Bahrain that other Gulf states, it is up to Bahraini officials to determine whether that visitor is permitted to enter the country or not. For various cultural and religious reasons, female participation in the workplace is strictly regulated by Bahraini labour authorities. For example, in certain cases women are not allowed to work at night (determined on a case by case basis) and the labour authority is allowed to prohibit certain types of work for women. Bahrain announced in 2009 that it would begin dismantling the Kafala system by adopting new legislation which permits migrant workers in Bahrain to change employers without their employer's consent. However, while the system has been improved, it is still difficult for migrant workers to change employers. For example, amendments were made in 2011 that a worker needs to wait one year before legally being able to change employer, in response to recruitment agencies lobbying against the changes. This means that it may be easier for employers to recruit foreign workers from outside Bahrain rather than recruit from the country's large pool of migrant workers. 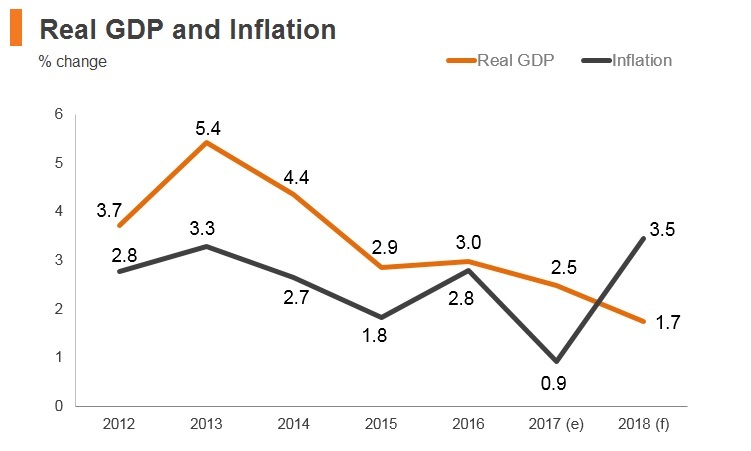 Growth will remain robust in 2018, as rising oil prices enable substantial investment spending from the government and the GCC. By 2019, however, the implementation of VAT and tighter government finances will take a toll on both private consumption and fixed capital formation. 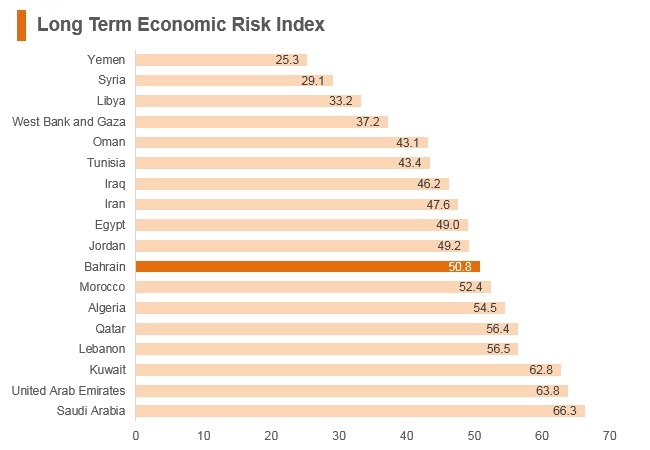 That said, financial aid and investment from the rest of the GCC should support growth in the coming years. Higher oil proceeds will allow the government to spend more on infrastructure projects, as part of the government’s Vision 2030 plans. The GCC Development Fund will also provide significant funding, which will be used to finance additional capital projects. By regional standards, Bahrain offers a relatively streamlined regulatory framework, while also allowing 100% foreign ownership in most sectors. Organised labour strikes are uncommon and rarely become disruptive. Nevertheless, Bahrain has a small local labour pool for both skilled and unskilled workers, thus necessitating the import of foreign workers in a broad range of industries. 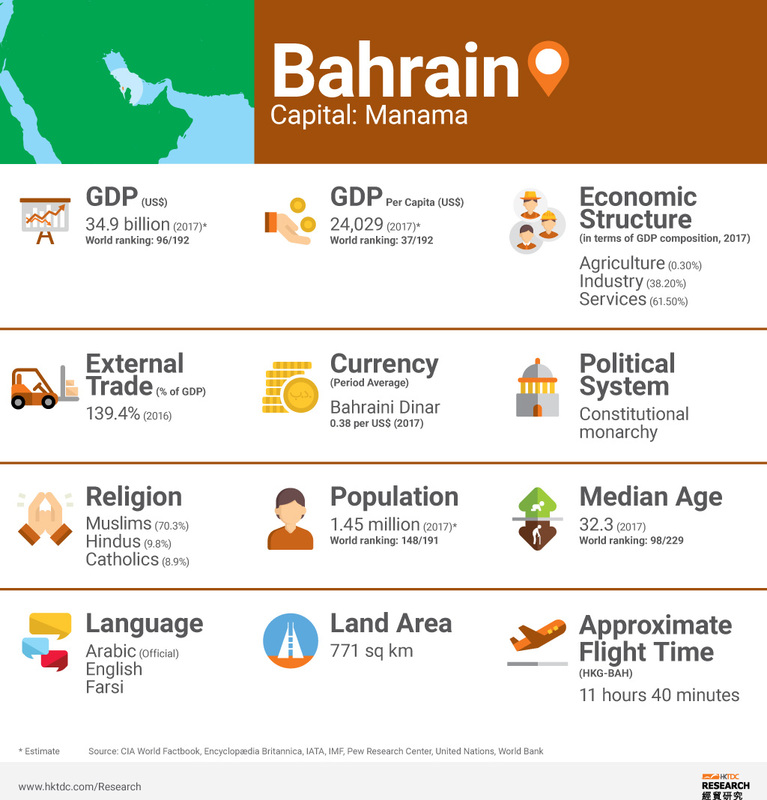 Overall, with strong availability and low costs of utilities, and a highly receptive trade and investment environment, Bahrain is one of the cheapest places in the world to set up certain business ventures. 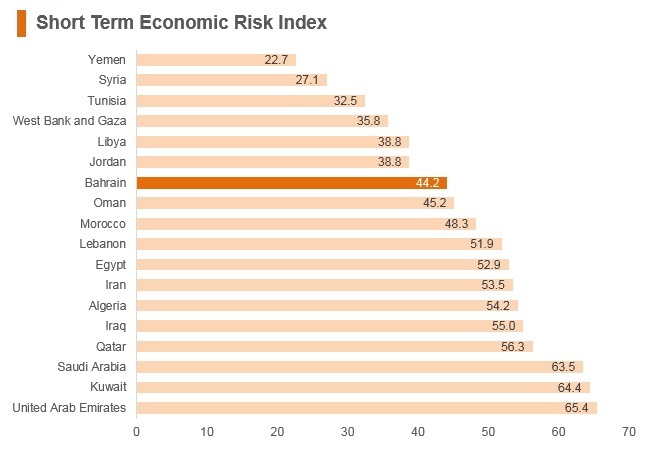 GCC Markets include Bahrain, Kuwait, Oman, Qatar, Saudi Arabia and United Arab Emirates. Bahrain has entered into double tax treaties with many jurisdictions including China (mainland). The China-Bahrain Bilateral Investment Treaty (BIT) entered into force in April 2000. In April 2013, Hong Kong and Bahrain began the first round of negotiations for a comprehensive Double Taxation Agreement (DTA). Bahrain's Cabinet approved the signing of a new DTA with Hong Kong, according to the state news agency said November 13, 2017. The Arab Chamber of Commerce & Industry (ARABCCI) was established in Hong Kong in 2006 as a leading organisation at promoting commercial ties between Hong Kong/Greater China and the Arab World. Hong Kong residents may travel to Bahrain without a visa for stays less than 14 days. To stay for more than 14 days (but less than 1 month) Hong Kong residents can apply for a "Visit eVisa". The Visit eVisa allows you to stay in Bahrain for 1 month. An extension can be obtained for another 2 weeks by visiting NPRA in Bahrain. The Visit eVisa is able to be used for multiple entry. The applicant must be outside Bahrain. (Visas cannot be applied for by those travellers already in the Kingdom). The applicant must have a passport (not any another type of travel document) and it should be valid for 6 months from arrival in Bahrain. The applicant must have a valid confirmed onward travel ticket to leave Bahrain. The applicant must be capable of supporting themself (and their dependents if they are to accompany them) during the visit. The applicant's entry must not violate the security and national welfare of Bahrain. Once approved, the applicant must use the Visit eVisa within 30 days of approval. Applicants must have used their visa, or it should have expired, before they can apply for another visa. (It is not possible to have more than one visa issued for a passport at a time). To obtain an eVisa, one needs to complete the online application form and pay with their credit/debit card BD 29 (approximately USD 77). Approval of an application is not given immediately. Processing applications takes approximately 3-5 working days and the NPRA will advise the applicant by email when a decision has been made.